Now regular visitors to my blog will know I don't often blog about products or shopping, but every now and then something comes along that I really believe in and I want to share with you. Tomorrow, Wednesday 11th from 1pm - 2pm there is a Twitter Party taking place in conjunction with Britmums and TKMaxx talking about those essential things you need to buy for a new baby. Twitter Parties are so much fun, a good gossip, some prizes, and you may even make new online friends. I urge you to pop along and have a look, the link will give you more information about how to take part. 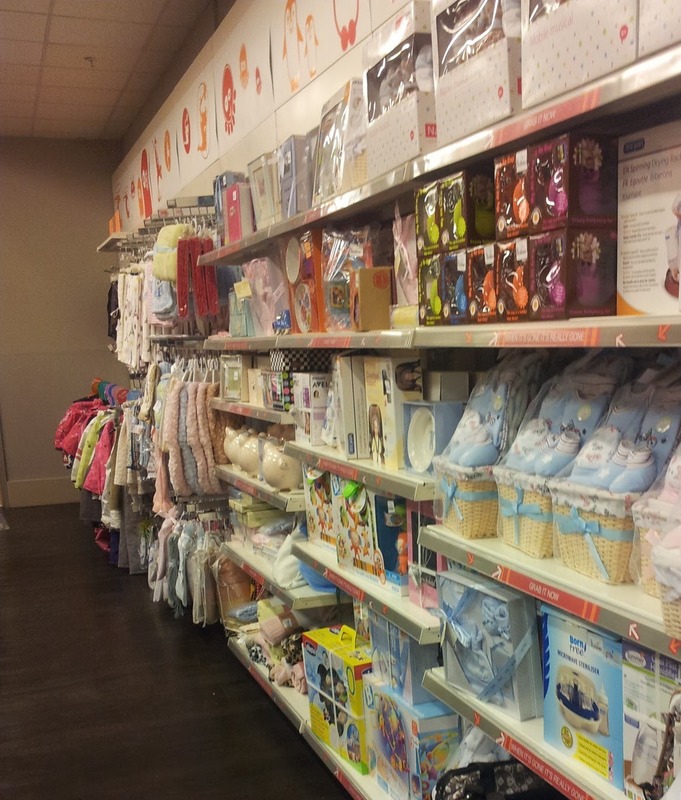 TKMaxx have some fabulous new arrivals in store - baby gifts, clothes and essentials. You can read more about it here. TKMaxx invited me along to the Manchester Arndale store to look at their fabulous nursery range and do some shopping. I have a load of expectant friends at present, so it was very timely. I was very kindly given a gift card to use. Having a baby is expensive, it is estimated a new baby costs £3000 in the first year. Every little helps and if you can get great brands at great prices, then it makes sense to check TKMaxx out. 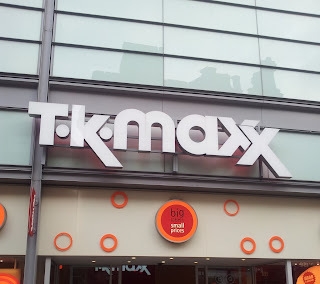 I am a confirmed TKMaxx shopper, having discovered it when I first arrived in the UK. At first I found it a bit bewildering but soon grew used to the concept. I love the fact that there aren't rows and rows of identical product, and there is loads of choice. I have to say, in the 10 years I have been shopping at TKMaxx I have noticed the organisation of the shop floor improve vastly. Today I was particularly impressed by how neat and tidy everything was and how it was easy to find what I was looking for. I was amazed by what I saw today. Several brands of microwave steriliser and bottles, oodles of clothes, different types of sleeping bags including some leading names, amazing changing bags, blankets, towels, mobiles, even a highchair, all at prices much lower than you would expect to see in neighbouring shops on the high street. I found it really hard to decide what to buy, and this selection is what I decided on. Here is a run down of what I purchased. Most items are for a baby shower I have been invited to, and I am so excited. Can you guess what flavour my friend is having? Bath towel: This is no ordinary bath towel, coming in its own bag, so great for taking to the pool. It's a double duty towel with a velcro closure cut out so you can wear the towel around your neck so you can place your baby straight into the towel, no clenching teeth required. The towel has a hood, so can be used as a normal baby towel as well. Swaddling blanket: When Joseph was in hospital the nurses used to swaddle him to calm him down, and to do some tasks like medication. I found I couldn't use a square, no matter how many times I was shown, so bought a swaddling blanket, similar to this one. It looks very snuggly! Sleeping bag: TKMaxx has a huge range of sleeping bags in lots of sizes and lots of well-known brands, I was spoilt for choice. I chose this one as the design is gorgeous and the fabric is really soft. I chose 6-12 months size as I think its the most versatile. For us it was great value as Joseph was in this size for 18 months! Blanket: Another area where I was spoilt for choice was blankets. The shop assistant was laughing at me. My favourite had Eiffel towels on it, but she judged it too girly! So I chose this blue grey one. I love blankets for babies, for the pram, for an impromptu play mat, and for when the weather is either too warm for a sleeping bag, or the baby needs additional warmth. I also prefer blankets for day time naps. Changing bag: My final purchase was a changing bag. I was gobsmacked by the choice, and it was incredibly difficult to choose a great bag, but I wanted something neutral, washable, with some pockets but not too many and I think this one is perfect. 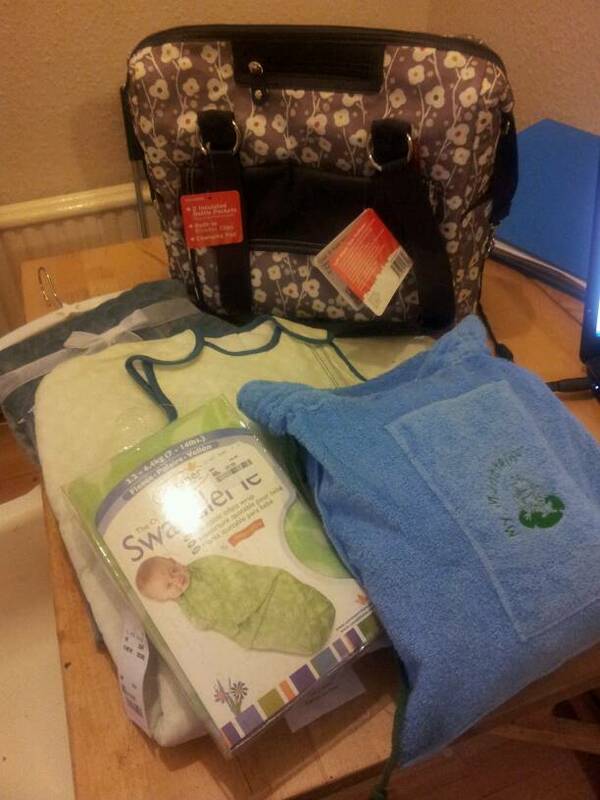 TKMaxx is definitely worth a look for nursery items either for your own baby or for gifts. If you've tried shopping their before and found it bewildering, do try again, you might be pleasantly surprised! Don't forget the Twitter Party tomorrow! 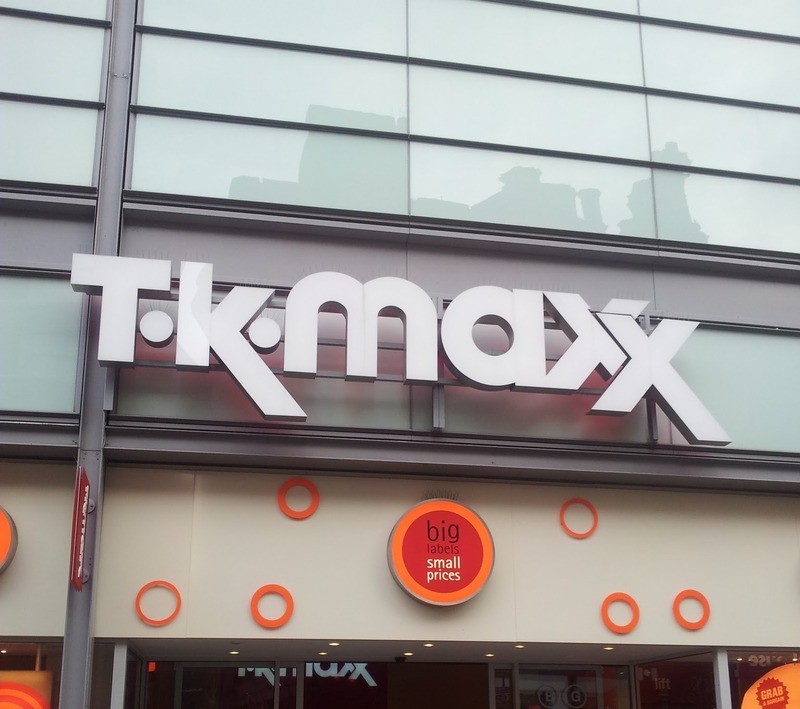 TK Maxx is providing as prizes eight £100 TK Maxx gift cards and one Grand Prize £200 gift card (which can buy a lot of babygros…or a discounted designer outfit for yourself). To be entered into the random drawing, tweet a tip or comment during party on Wednesday 11 January before 14:00. Come join the conversation! Whether you’re expecting your first child, are a new parent or an old hand or are shopping for friends, this party promises to be a eye-opener, with candid baby-buying advice. Oh I'll definitely be attending the party, might need a reminder though! Fab bargains!